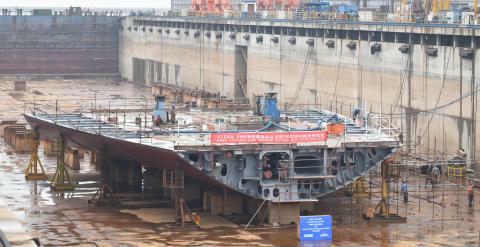 One of the two new E-Flexer RoPax ferries bound for the Liverpool – Belfast route in 2020 has recently marked an important production milestone by celebrating its official keel-laying at the AVIC shipyard in Weihai, China. The new vessels will have capacity for 1 000 passengers, 120 cars as well as 3 100 freight lane meters. Stena Line is currently the largest ferry operator on the Irish Sea, offering the biggest fleet and the widest choice of routes between Britain to Ireland including Liverpool and Heysham to Belfast, Cairnryan to Belfast, Holyhead to Dublin and Fishguard to Rosslare routes, a total of 232 weekly sailing options between Britain and Ireland.